At the top of the left menu, you'll soon notice the new My Items view. Here you will find a collection of all data related to you, including assignments, teams, and account settings. Take a look at the My Assignments tab. This is all the work that's assigned to you. This stable access point will help you to quickly find your work, and make the states of cards you're working on more visible. We'd really appreciate your feedback on the new My Items view. Feel free to share via the 'Give feedback' button. Also, based on complaints about the Open Assignments tab on the user details view, we've replaced it with the same list you see above – items assigned to the user, grouped by states. From now on, it will take less clicks to get direct links to cards. We've introduced a 'Copy link' action, which will allow you to quickly copy the cards' links directly from a Board. Just select the cards you want to share, and either select 'Copy link' from the dropdown menu, or use Ctrl/Cmd+C. We're glad to announce that we have added more possibilities to customize your report. You can now easily change the colors used by clicking on the ‘color’ icon in the COLOR coding area, and replacing it with what you’d prefer. To learn more, please read our blogpost on this feature. 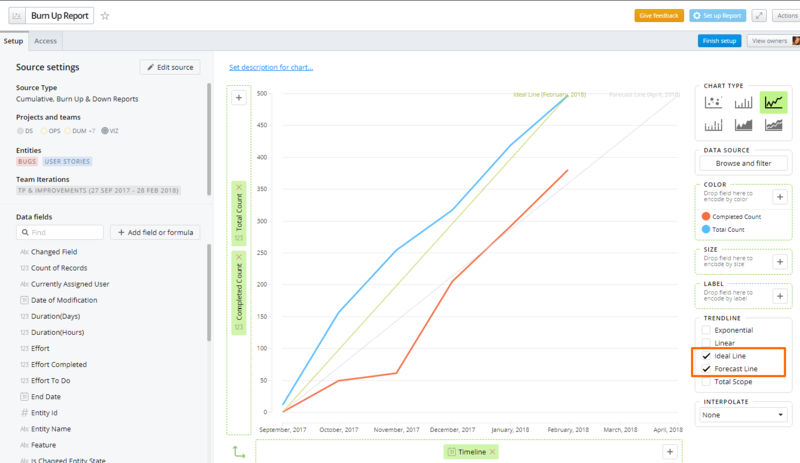 Visual Reports: Ideal, Forecast lines for Burn Down and Burn Up reports. We have improved our Burn Down and Burn Up templates, and made it possible to add Ideal and Forecast lines. If you do not need them, you can just uncheck these options in the Trendline section. You can also add them manually when creating a historical report from scratch, but please note that to get these lines in the Trendline area, your chart setup should correspond to your Burn Down/Burn Up configuration. Follow this link if you want to find more details on that. We hope you like our redesigned Settings pop-up. We got rid of a few tabs, so now you can find all possible options together. 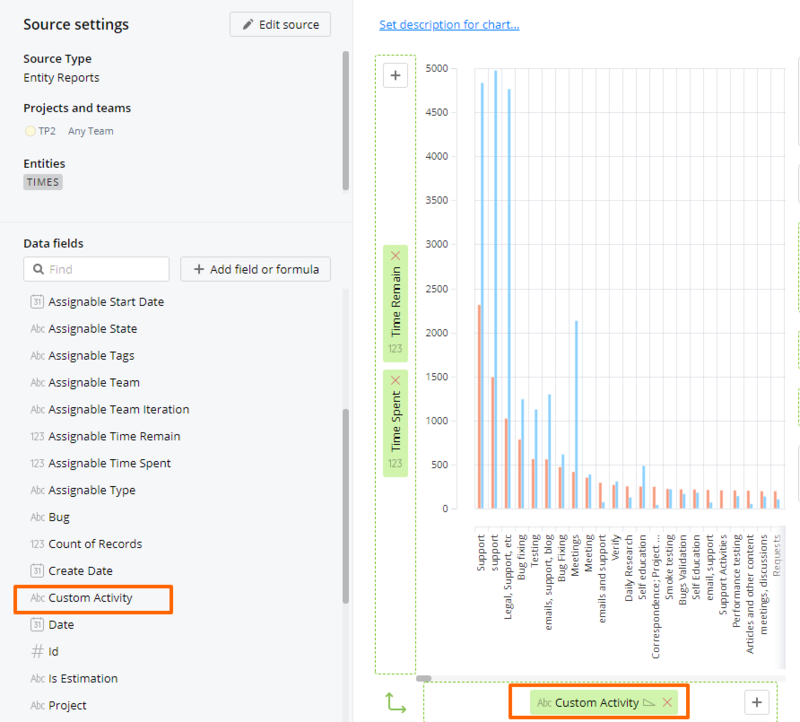 Users are now able to create some reports by Custom Activity (Time entity source), as we have added it to the list of available fields.